Why are custom gaming rigs so expensive? There's no such thing as a bulk discount when a company has to order each part individually. For players not picky about parts, Digital Storm's new line of affordable pre-built gaming PCs might be the answer to pricey PC gaming. When last I touched base with Digital Storm they were at BlizzCon 2010, showing off a beautiful gaming rig that cost upwards of $7,500, depending on options. That's a ridiculous price to pay for a computer. The company's new ODE pre-built model starts at $1499 and tops off at $2499. That's not a bad price at all, considering what you get with the system. The $1499 version comes packed with an Intel Core i7 2600K 3.40GHz CPU, 8GB of high performance memory, and a 1GB NVIDIA GTX 560 video card. 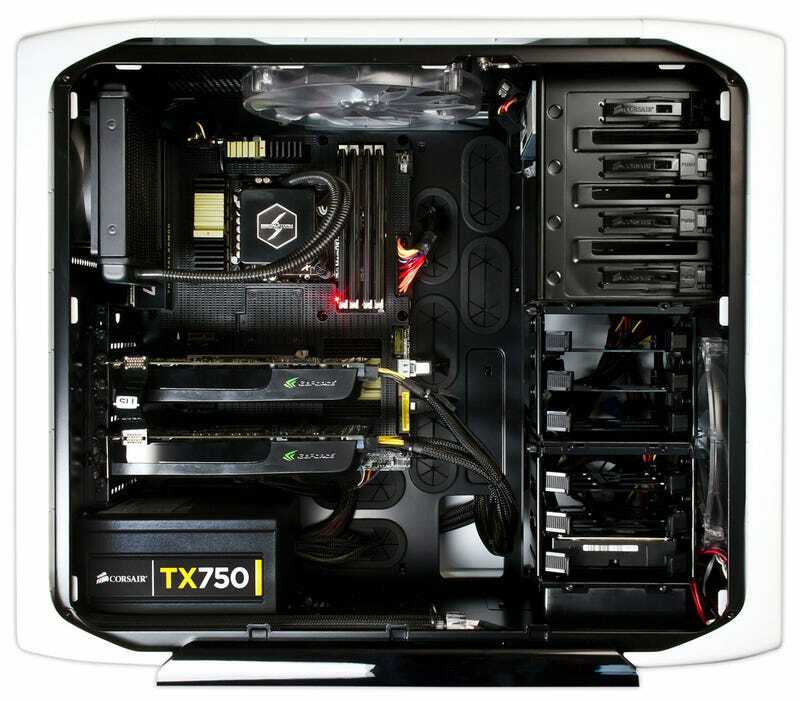 You could build it yourself cheaper, for sure, but not everyone wants to build their own PC. That's where the ODE comes in. "If ever there was an indictment against PC gaming, it's that it can be an expensive passion, that's why most gamers build their own rigs. Digital Storm has never liked this status quo, so we set out to create a machine that would deliver the extreme performance PC gamers want without breaking the bank. That is how the ODE was born," said Rajeev Kuruppu, Digital Storm's Director of Product Development. The systems are gorgeous, you don't have to wait for them to be assembled, and you get Digital Storm quality without paying a Digital Storm price. Hit up the official website for more info on the ODE.